Oh this flickr based site was way too much fun. 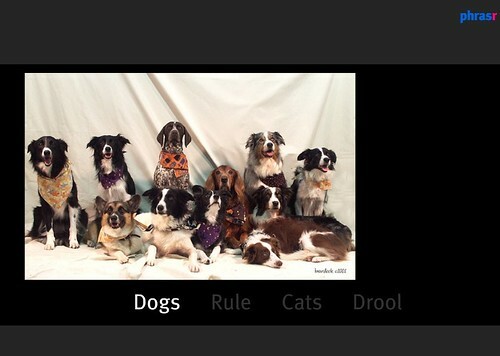 With phrasr, you enter a phrase to illustrate, and for each word, it provides a photo from flickr. You can choose to swap the photo for another, and when all is said and done, you can publish. What a great way to play with words and images. I can see this as a another great activity for telling stories with pictures. Speaking of which, there was a lot of nice buzz about 5 card stories, check out the latest stuff in the gallery.